Sensible Software is a studio embedded in gaming history for many reasons outside of the admittedly immortal Sensible Soccer. Along with the Canon Fodder games – the destructive sibling of Sensible's popular football sim – the company's commitment to the 16-bit Amiga proved that, sometimes, you can achieve impossibly addictive gaming perfection even with the most cartoon-like of visuals. Make a game addictive, and if it's being played by enough people, you've succeeded – and the fame of Sensible's output during the '90s suggests that it was something of a triumph. Aside from studio kingpins Jon Hare and Chris Yates, it’s the artistic mind of Stoo Cambridge which we see when we pump the Sensible Soccer ball up-field or load that Cannon Fodder gun; Cambridge gave Sensible's games their artistic flair and his talent was responsible in no small part to their accessibility and appeal. However, Sensible Software didn’t remain in the realm of home computers forever and eventually branched out into the 16-bit console sector. Cambridge had worked on the Sega Mega Drive conversion of Sensible Soccer, but did he also cut his teeth on the Super Nintendo version of the game? "I did and I didn’t," he recalls with a smile. "I did the Sensible Soccer conversion for the Mega Drive, but the art was ported over to the Super Nintendo version, which sort of counts... though I did do some specific bits for it, like the gamepad user interface." Cambridge's involvement with SNES Sensible Soccer may have been slight, but it was another project with Sensible co-founder Chris Yates that offered Stoo the chance to work more intimately with Nintendo’s 16-bit powerhouse. "I did quite get into the SNES," he explains, before telling us a little about an unreleased project that could have topped the studio's other console output. 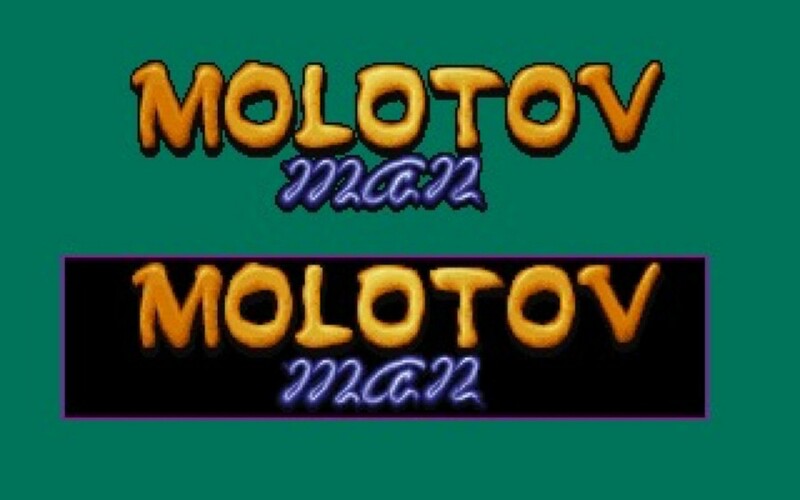 "I’ve been asked a few times over the years about this little-known Sensible Software game we – Chris Yates and myself – worked on back in the early '90s called Molotov Man. I can’t recall exactly when we started working on this, but it was on the cusp of Wizkid being finished and Cannon Fodder being started, so probably the Summer of 1992 – though I could be mistaken on the finer points. Jools [Jameson] and I were also converting Mega-lo-Mania to the Megadrive." 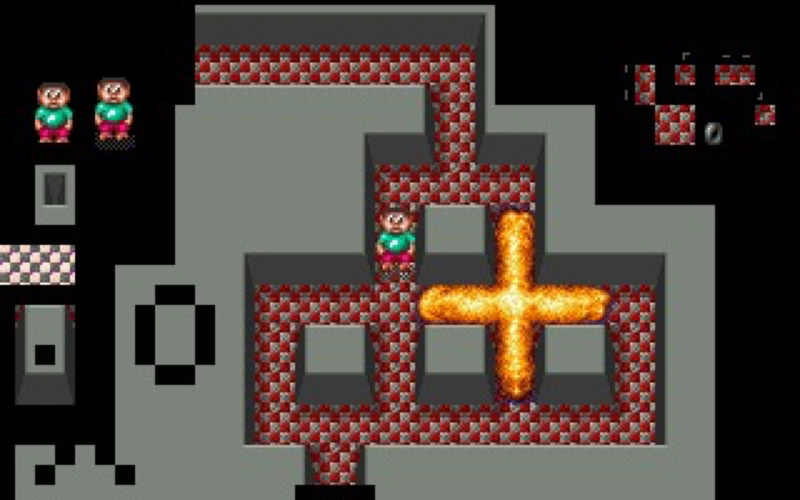 Molotov Man was heavily inspired by a certain Hudson Soft game which involved dropping bombs to blow up other players. 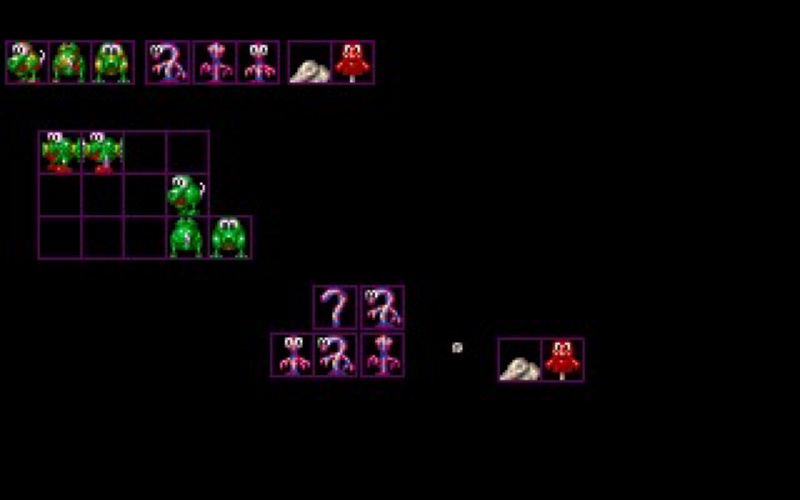 "It was heavily based on the PC Engine classic Bomberman," admits Cambridge. "Instead of leaving bombs, you hurled Molotov Cocktails. There was no real design on who or what Molly – the nickname I had for the main character – was, or indeed what he looked like. At this early stage, it was just Chris and myself working on a game demo. I provided the art when Chris requested it, and that was about it. I can’t even recall if there was a game design document." The lack of a design document – a vital part of game development – didn't prevent Cambridge from putting in quite a bit of work on the game. "I initially worked on a few sprites ideas for the main character, along with some very basic walls and floors for scale, which I have to say were pretty awful," he says. "I was not happy with these placeholders, so I went back to the drawing board and opted to go with a more Japanese 'Anime' style of design, seeing as it was a big thing back then. I took this a stage further and created a large version so we got an idea of what he looked like in a bit more detail. I wanted him to be a bit chubby but not to the point where he looked like he was about to keel over due to the excess weight!" The idiosyncrasies of the host platform made themselves felt at this stage. "The funniest thing about working on a SNES game is that the screen aspect is not the same as that of a Mega Drive or an Amiga," Cambridge says. "The resolution is 256 x 224 compared to 320 x 224 on a Mega Drive, or 320x256 on an Amiga. So even though the resolution is smaller, the screen area covered is about the same, which really affects the aspect. "I used the Deluxe Paint programme on the Amiga to create my art at 320x256, which meant as soon as anything I created was displayed on the SNES screen it immediately looked stretched when compared to the original. This isn't a problem if you can take this into account at source, but if you’re drawing something that is circular or needs to be uniformly square, then it has to be right. I think I opted to manually 'stretch' my Amiga screen via the controls on my monitor so the aspect was nearer to that of the SNES; it kind of worked, but long term it was a right pain." With 'Molly' done, Cambridge turned his attention to the levels. 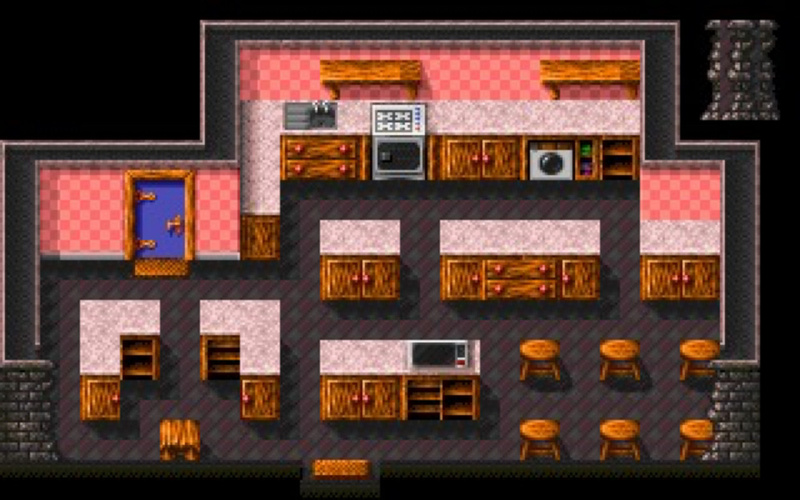 "I think we worked out that the game is set within a house or cottage, something like that," he recalls. "You have to remember it was all very loose from a design perspective; we were, after all, creating a 'proof of concept' so getting something up and running was our primary goal. In-between doing these background graphics I also played about with some ideas for a title screen logo, I came up with something that looked fairly half decent and we went with that." It's at this stage that the game would have been shown to potential publishers, and Cambridge – who was not directly involved with this process – seems to recall some discussions taking place. "During this time, Chris had been quite chatty with the guys over in Japan, Imagineer Co. Ltd, who were converting Mega-lo-Mania to the FM Towns and the Super Famicom," he remembers. "I think there was some talk about some project or another and working with them on something, though I’m not 100 percent on this. A deal was certainly bubbling away but whether that was for Molotov Man, I don’t know." No deal was forthcoming, and Molotov Man never saw the light of day. Cambridge himself has no idea why this is the case, even after all these years. "The simple answer is I don’t really know. From what I can recall from that time, nobody was interested in funding it through development to finally being published." All that remains of Sensible's Bomberman beater is the visuals that Cambridge created, and we're lucky to have those. "Thankfully I backed up my work many years ago when I switched from Amiga to PC as my main work environment," he says. "I do wonder what would have happened if I hadn’t of backed it all up; a lot of this stuff would have been lost. There was a demo or two but I never had copies of these as they were always on Chris’ development machine, and most likely have been included in a Sensible archive of sorts somewhere over the years." Given that Sensible closed years ago, it's anyone's guess where these files are, if they still exist at all. Looking at Molotov Man today, it's obviously a very rough proof-of-concept, but it's still easy to see the potential. "It’s clear the art was far from final," continues Cambridge. "But there’s enough to show what sort of look I was going for and what the game would have been if it had made to something playable and something to show in the press." Thanks to Cambridge's efforts, we have an amazing insight into how the early origins of a game come about, but unfortunately, there's little to tell about Molotov Man beyond that. 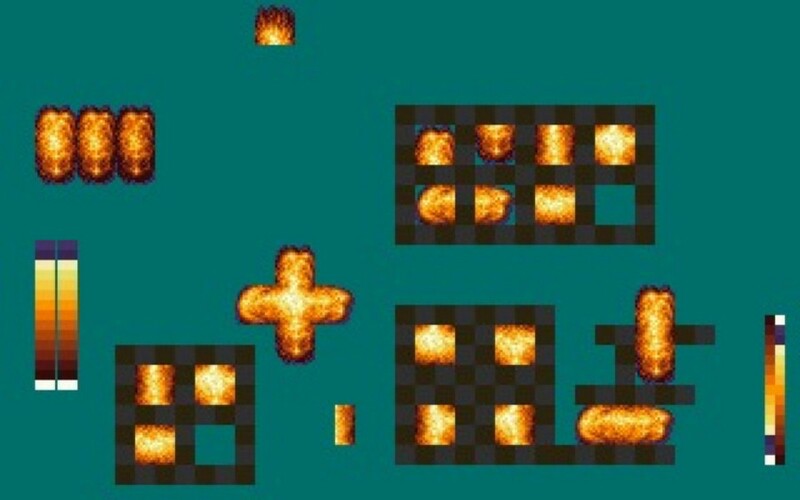 Not all games make it out of the studio; many don't even make it past being vague ideas or random scrapbook entries, but after hearing Cambridge's memories and seeing these early visuals, it's clear that somebody needs to raid Chris Yate’s development machine for the demo of Molotov Man. 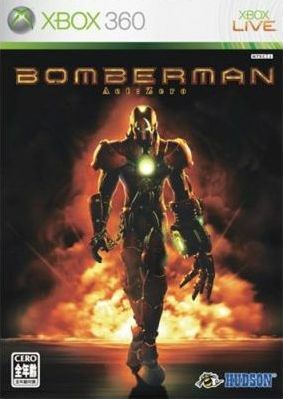 Molotov Man would be an actually good title for Hudson's poor attempt at a darker-and-edgier reboot of the Bomberman franchise back in the Xbox 360 days. Chris "Cuddly Crix" Yates left the games industry altogether upon the closure of Sensible Software and the sale of its assets to Codemasters, and has declined to contribute to a recent book on the history of the studio (to which Jon "Jovial Jops" Hare has contributed immensely), so the chance these original files still exist will be incredibly slim at best. Me and a mate were hitchhiking back to our home town from Cambridge (UK) in the early 90s and John Hare's wife kindly stopped and gave us a lift home. Different times. Also, we need a Switch port of Chaos Engine!!! I have already posted my (in)famous "Alex*Sora*89: derailing NintendoLife threads since 2011" pic twice this week. I don't think there are the grounds for a "Alex*Sora*89: ruining your day since 1989" one. @hbkay There was more than one!!! Always been a fan of Bomberman on Sega, PS2 & 3DS but not fussed on Switch release. Where are the egg-hatching colourful dinosaurs you ride on for extra life? The best version I've ever played was on Sega Saturn. It's funny seeing the names of the developers. Anyone who played Cannon Fodder a few times would remember that your initial troops were all named after the developers (Jon, Jools, etc). Really interesting article, thank you! I’d never heard of this at all, be interesting to hear from the other devs involved as to whether or not a working demo still exists. @AlexSora89 That cover art is incredible. "Real men walk away from explosions" and all. Can't display more badassery than Homer Simpson jumping away from one. 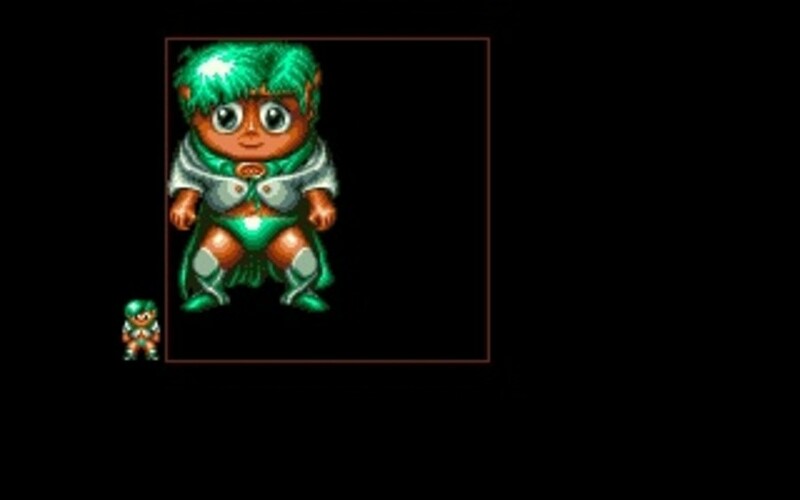 @sausage Or... A “Best of Amiga” compilation for Switch.